After payment is completed, you'll be redirected to downloads page/receive an email. 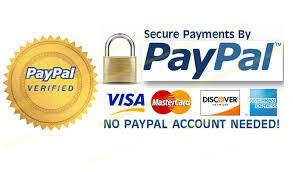 Checkout your order via PayPal or any major credit/debit card. Have a question? Fill out the contact form and I'll respond within 24-48 hours. How Do I Buy A Beat? 1. Choose your beat(s). 2. Click the icon 3. Checkout via or 4. Download your beat(s). What License Agreements Do You Sell? All sales are FINAL. The only consideration is if the link is broken or missing file(s). New Beats Weekly. Subscribe NOW!